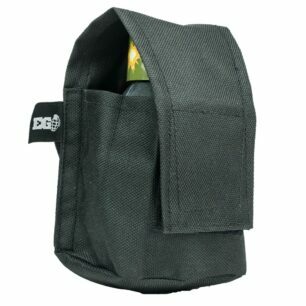 EG18 Pouch 2015 - EG Grenade Co. 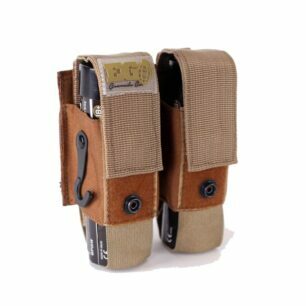 The NEW EG18 2015 edition Pouch from Enola Gaye has been well thought through. 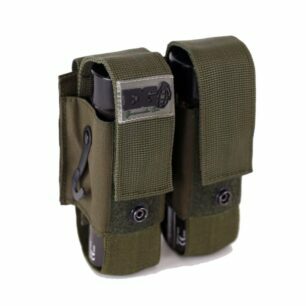 The tactical pouch is molle compatible and also fits to a belt. 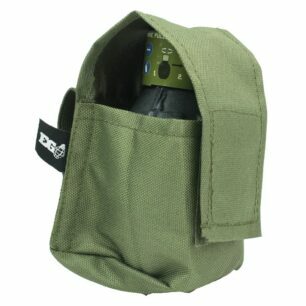 Your EG18 Smoke Grenade sits snug in the pouch held in by the pull over tab that is secured by a popper and velcro…you are now locked and loaded!